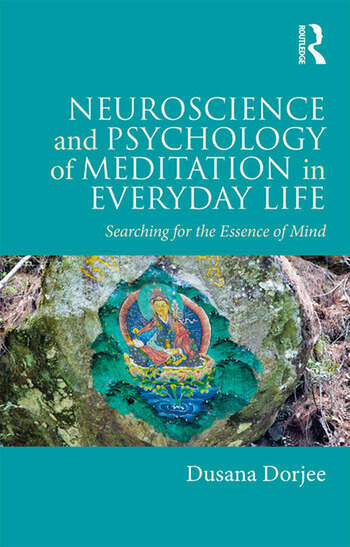 Neuroscience and Psychology of Meditation in Everyday Life addresses essential and timely questions about the research and practice of meditation as a path to realization of human potential for health and well-being. Balancing practical content and scientific theory, the book discusses long-term effects of six meditation practices: mindfulness, compassion, visualization-based meditation techniques, dream yoga, insight-based meditation and abiding in the existential ground of experience. Each chapter provides advice on how to embed these techniques into everyday activities, together with considerations about underlying changes in the mind and brain based on latest research evidence. Dusana Dorjee, PhD, is a cognitive neuroscientist in the School of Psychology at Bangor University. Her research investigates how meditation, particularly mindfulness, impacts well-being and modifies the mind and brain. Dusana is also a long-term meditation practitioner and teacher in the Tibetan Buddhist tradition of Dzogchen.